How many times have you seen Star Wars: The Force Awakens since its release in December? For many Star Wars fans, it’s been somewhere in the range of three to, oh IDK, a billion times. . . which may be why it’s broken many box office records and attained the highest-grossing worldwide opening of all time, while reaching $1 billion faster than any other film in history. You know, NBD. But there may be one person in the world who hasn’t seen it. . . and that one person is someone who has been in three of the previous Star Wars films. Natalie Portman hasn’t even seen it once (and we’re over here like, HOW HAVE YOU BEEN LIVING YOUR LIFE?). While promoting her latest movie, Jane Got A Gun, in an interview with Good Morning America, Natalie explained that she’s just been too busy. OK, we *guess* a majorly successful and award-winning actress may not have the time to frequent the theaters. However, she has had a mini Star Wars reunion with her co-stars from the films, Ewan McGregor and Joel Edgerton (both of them are in Jane Got A Gun as well, which makes us all warm and fuzzy). 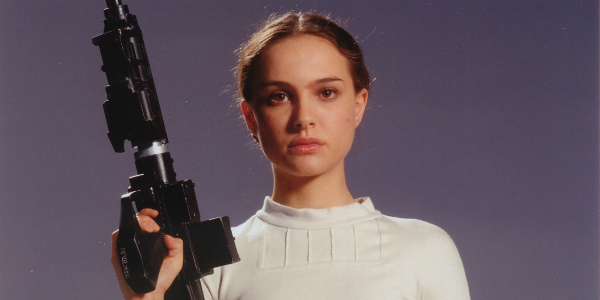 While we love to hear that Ewan, Joel, and Natalie are indulging in some Star Wars nostalgia, we still implore Natalie to get herself to the nearest theater, STAT. She may be a wildly famous household name, but come on. Everyone should get to see the glory that is Rey. In the meantime, don’t spoil it for Natalie!